In 2014 the City of London Police, City of London Corporation Trading Standards, Metropolitan Police, National Trading Standards ‘Scambusters’ Team, HMRC and the FCA, launched Operation Broadway, a London-wide intelligence-led drive to uncover and disrupt suspected ‘boiler room’ investment frauds operating out of some of the capital’s most iconic buildings in the heart of the UK’s main financial districts. Just last Thursday (6 October) the Money Laundering Investigation Unit disrupted a suspected boiler room in the City of London, selling fake bonds. Two search warrants were executed: One in Fleet, Hampshire, and other in Lothbury, City of London. Two cheques, totalling £130,000 were seized , together with other documentary items, as part of the operation. But despite this type of work, UK-wide investment fraud reports to Action Fraud increased by 9.5 percent last year – from 2,910 in the financial year 2014/15 to 3,186 in 2015/16 – indicating criminals are operating boiler rooms in new locations in the UK. Over the next week [10-16 October] the City of London Police, City of London Trading Standards and their Operation Broadway partners will be raising awareness of investment fraud and providing advice to help people protect themselves and their family. To do this we will be sharing a number of victim testimonies on our social media channels. The videos, which will be released throughout the week, show the impact that this type of fraud has on victims. There has historically been examples of victims committing suicide after this type of fraud has been committed against them, which makes it clear that there is far more than just a financial impact. 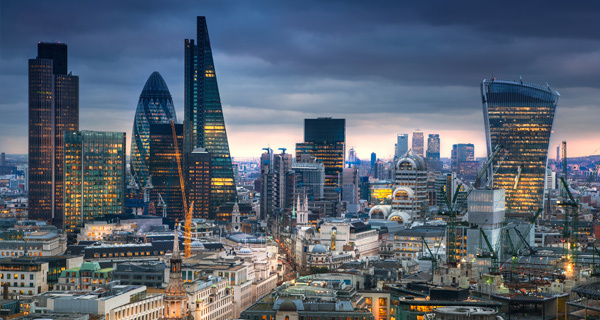 The City of London Corporation is creating a specialist trading standards officer post under the Operation Broadway remit which will focus on rolling the City’s model out across Greater London. The specialist officer will work with trading standards teams across London’s local authorities to ensure mail forwarding companies and serviced office providers are not allowing boiler rooms to operate on their patch. It is also hoped that this work will produce useful intelligence that will make it even harder for investment fraudsters to operate. The City of London Corporation’s Trading Standards, with help from the City of London Police last year prosecuted Servcorp UK Limited and Regus Management UK Ltd, two serviced office providers, which were allowing suspected boiler room fraud to operate on their watch, under the London Local Authorities Act. Over the rest of 2016/17, officers from the City of London Police and City of London Corporation Trading Standards will also be reaching-out to community groups, offering training to help senior citizens avoid becoming victims of investment fraud. They will also be offering aide-memoirs so potential victims are reminded what they need to do if they receive a cold call. Detective Chief Inspector Dave Manley Head of the City of London Police’s Fraud Squad and Operation Broadway lead said: “Investment fraud continues to be a major threat to individuals in this country and statistics show that those who are over 60 are particularly vulnerable to this type of crime. Fraudsters will do everything they can to manipulate potential victims and convince them that they are making genuine investments. Unfortunately once a victim is sucked-in by a fraudster they often end-up parting with a significant amount of money and this can have devastating effects on both the individual and their families. “The City of London Police is the national policing lead for fraud and it is our job to work with police forces across the country as well as with our partners to ensure that criminals such as investment fraudsters are disrupted and ultimately prevented from committing crime.